According to an article published in China’s state newspaper Global Times, China is preparing to start a ‘limited war’ in order to drive the Indian soldiers out of the troubled Doklam region. There has been a strain in relationship between China and India since June when the Indian soldiers entered Doklam area which is situated in the middle of Bhutan and China. The Indian soldiers stopped the Chinese soldiers from building a road in that region. Both the Chinese and the Bhutanese lay claim to the area. The Indian army entered the area upon request of Bhutan and as a result, a standoff ensued between the two armies since then. A researcher by the name Hu Xi Yong from Shanghai Academy of Social Sciences, said that the tension between both the Chinese and Indian forces won’t last long as China’s limited military action could start within one week. According to Yong, the Chinese government would notify the Indian foreign ministry before taking any military action. This editorial is issued at a time when India’s External Affairs Minister Shushma Suwraj used unpleasant words to describe the conflict in her cabinet meetings. The article also said the People’s Liberation Army had made several moves over the past month and hope that the Chinese army has done its groundwork for a military clash. 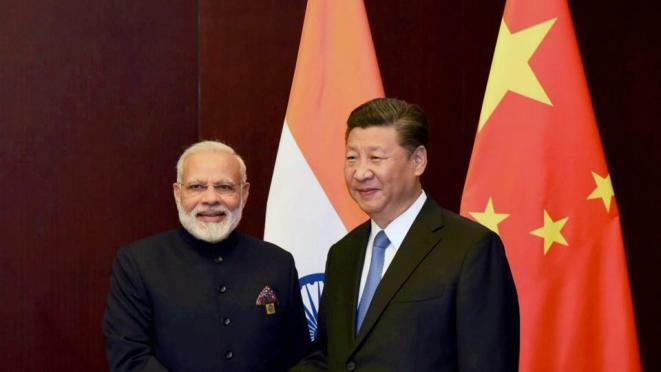 Global Times also said that the Modi government was violating international laws and putting India’s national honour and peaceful continuation of progress in danger. The post China might start a ‘limited war’ with India appeared first on The Duran.